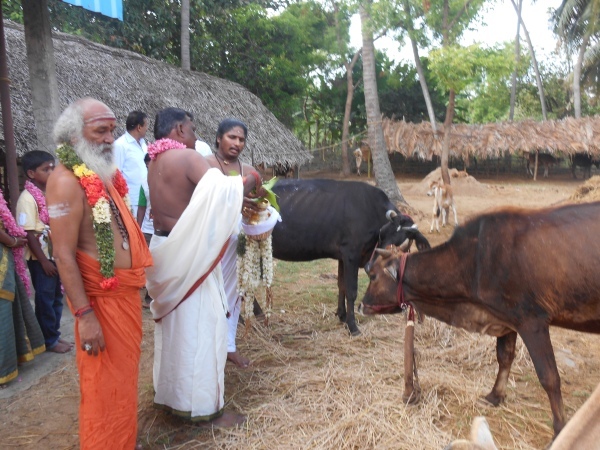 The Sri Sai Agastiya Foundation came into being as the culmination of a lifelong dream of the world-famous vedic astrologer Sri Sai Bharathi of Puttaparthi to rescue cows condemned to the slaughterhouse. Launched in 2007, the foundation was registered as a non-profit charitable institution with the local and central governments in 2012. When cows in india are too old to produce much milk because of old age or illness, they are usually sent to be slaughtered. The Sri Sai Agastiya Foundation employs field officers who identify village animals about to be condemned to death. 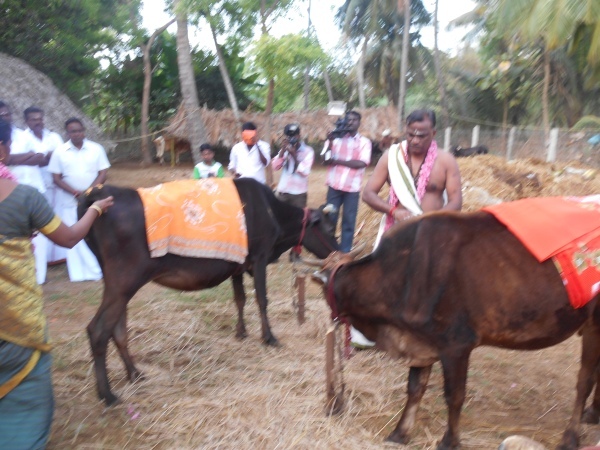 The animal is purchased from its owner and taken to the foundation`s sanctuary in Kumbakonam, Tamil Nadu. A farm on the outskirts of the town has been converted to a sanctuary for rescued animals. Those that are sick are treated by veterinarians and nursed back to health. Here the cows live in peace until they die naturally. They are then cremated according to Vedic rites. Five cows have been cremated to date. Fodder for the cows is grown on adjoining farms by foundation workers. All staff at the sanctuary are paid workers. Some live on the premises to give round-the-clock care to sick animals. A Unity Centre at the foundation’s headquarters serves as a meeting place for local people to conduct satsangs and sing Sai Baba bhajans every Thursday. They are also shown to do seva at various ashrams in the south of India. Plans to start a spiritual school for children there are well advanced. The centre also serves as a clinic where volunteer doctors treat local people. 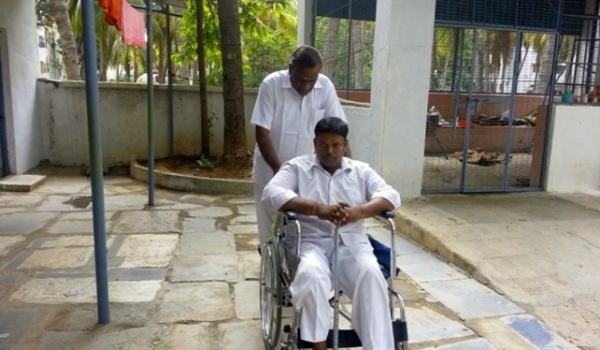 There are plans to extend the free medical care to all villages in close proximity to Kumbakonam township. The Sri Sai Agastiya Foundation is a non-profit organisation and operates with funds donated by well wishers and others sympathetic to the cause. According to Vedic belief, to serve cows in this manner is of great spiritual merit. It is a powerful way of reducing the effects of negative karma earned the present and past lifetime and one’s life steadily improves. Well- wishers willing to donate to this noble cause should kindly contact Sri Sai Bharathi of Kumbakonam, +91-9440272329 and +91-4352458859. Mobile (South Africa) +27-0606224505.